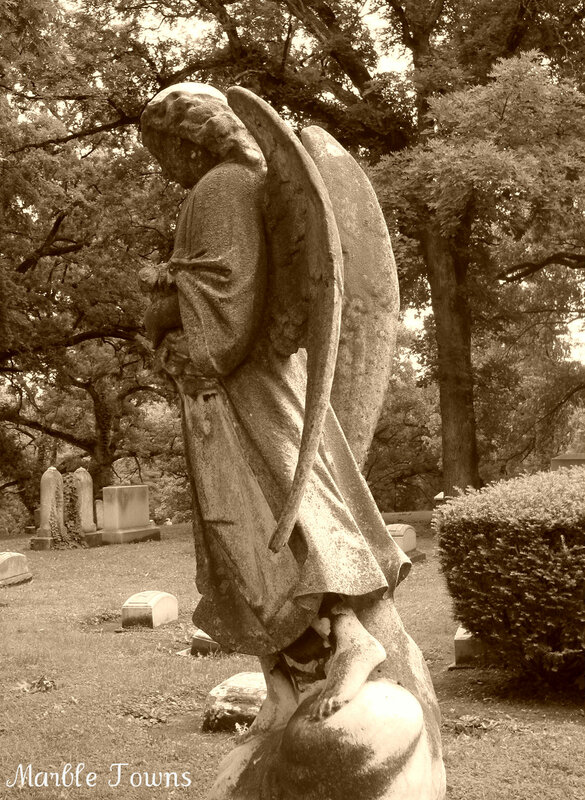 taken in Elmwood Cemetery in DeKalb, Illinois. 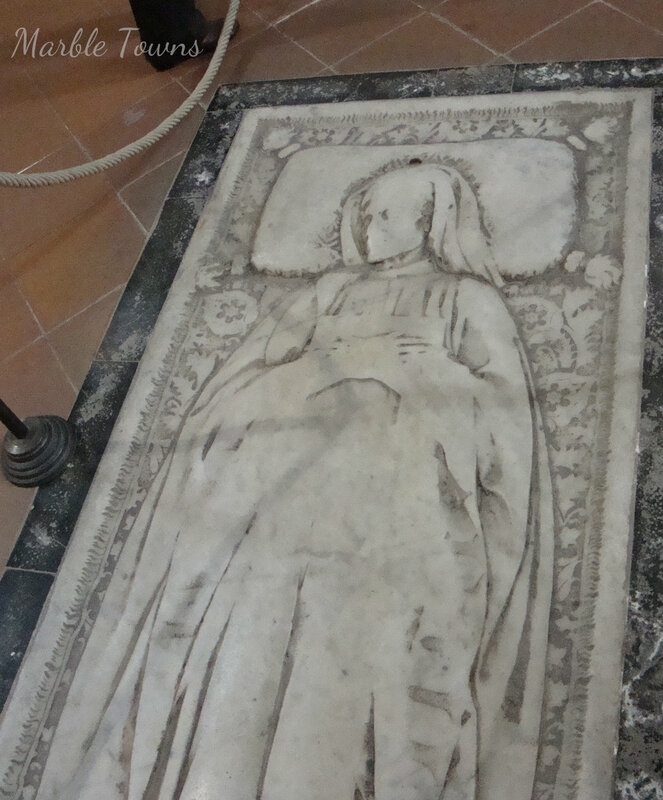 I like the simplicity of the clasped hands (a symbol usually found on stones from a certain era … which I’ll bring up in a future post), and how it just says “Elisabeth’s Grave” at the top. What’s interesting is that there’s no last name, just her first name. 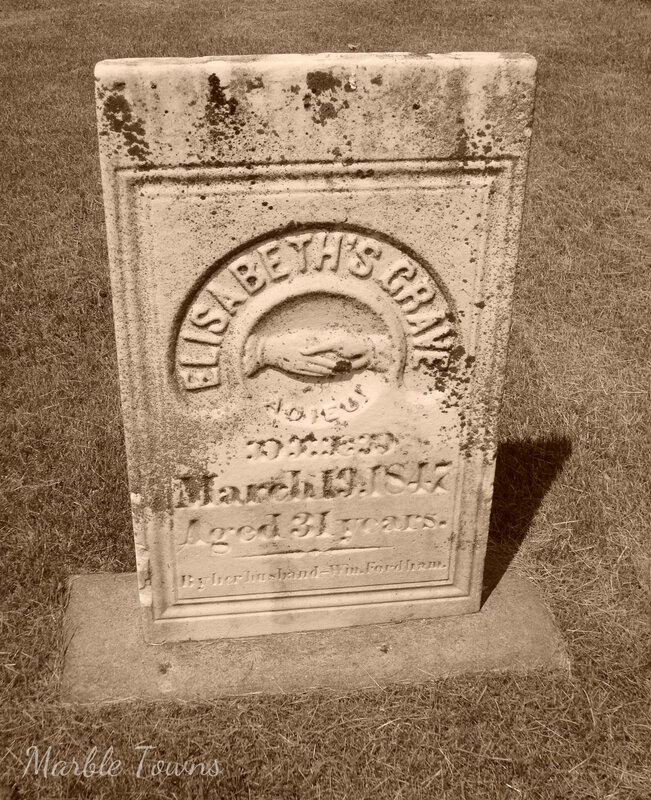 I modified it with a sepia tone, which makes it easier to see her date of death, in 1847. To see more Taphophile Tragics, please click HERE. I went to Italy last Spring, and this is one of the photos I took at the Camposanto Vecchio in Pisa, Italy. This is just of the beautiful carvings there, and despite how old this sarcophagus is, the details are still quite clear. 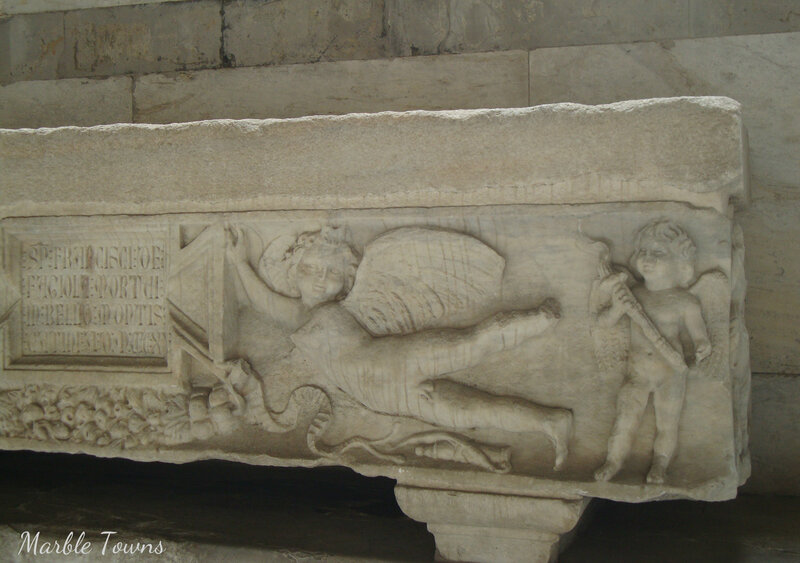 I don’t have an exact date for this sarcophagus, but many of the Roman sarcophagi here date from the 3rd century AD. If you’d like to learn more about the Camposanto Vecchio, there’s a nice Wikipedia article, and also a page on Sacred Destinations. 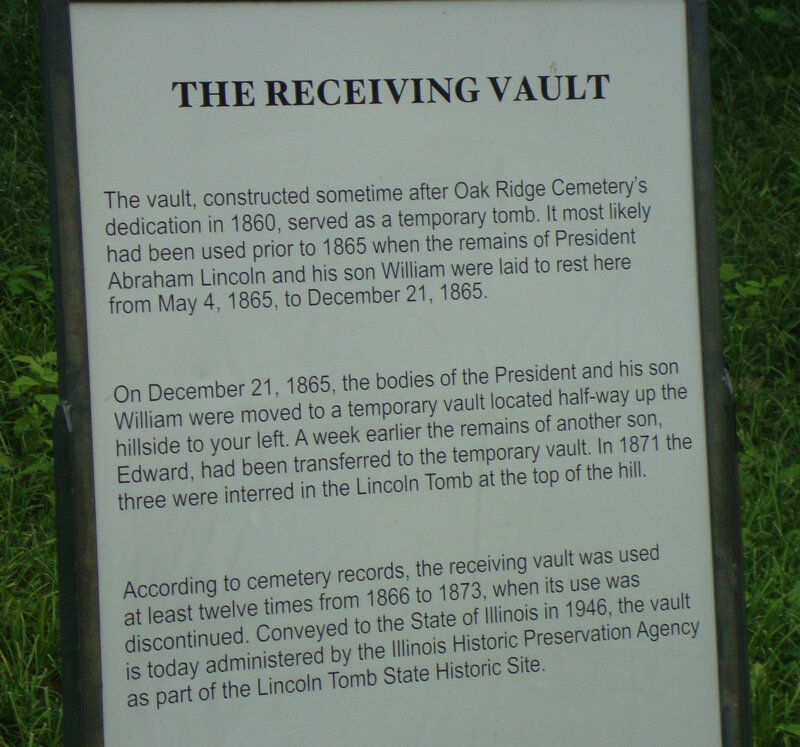 I had an opportunity to visit Springfield, Illinois last year, and visited Oak Ridge Cemetery, where there is the Lincoln Memorial, and Lincoln’s Receiving Vault. Walking around, I saw the vault, but didn’t know what it was. I’ve never seen a value like this (or if I have, I didn’t know it was a receiving vault), and I think it’s interesting that it was used several times. Oak Ridge Cemetery is quite large, and at 365 acres, is the largest cemetery in Illinois. I took a lot of photographs, but I’m sure I didn’t see everything — so I’m thinking another visit to this cemetery would be nice. 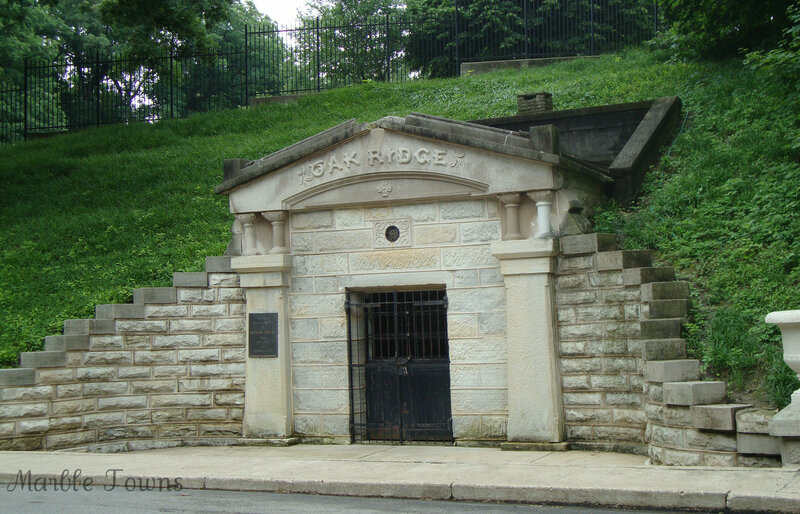 If you’d like to learn more about Oak Ridge Cemetery, please visit this link. 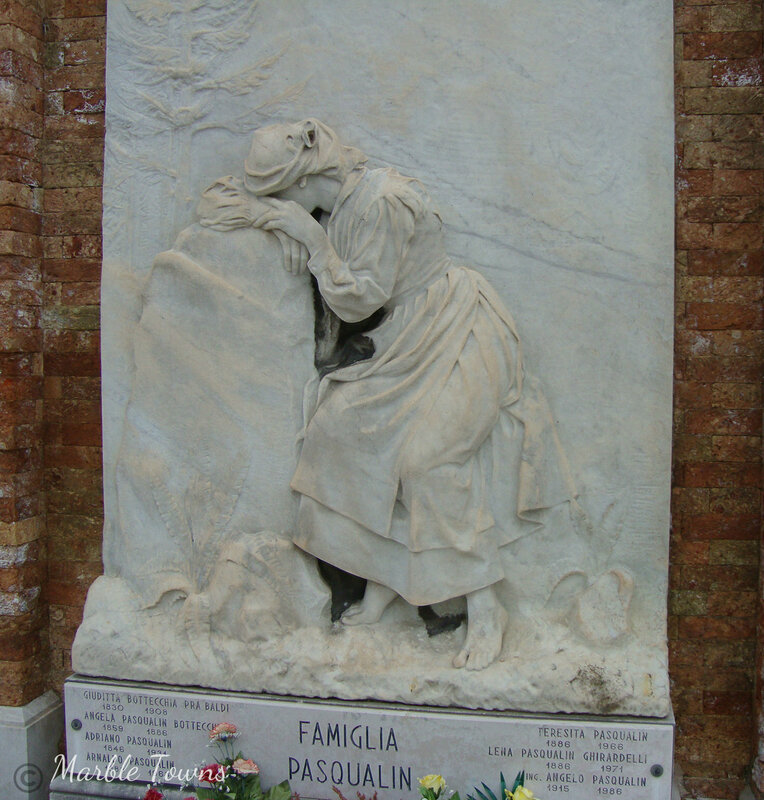 Why choose to take photos in cemeteries? 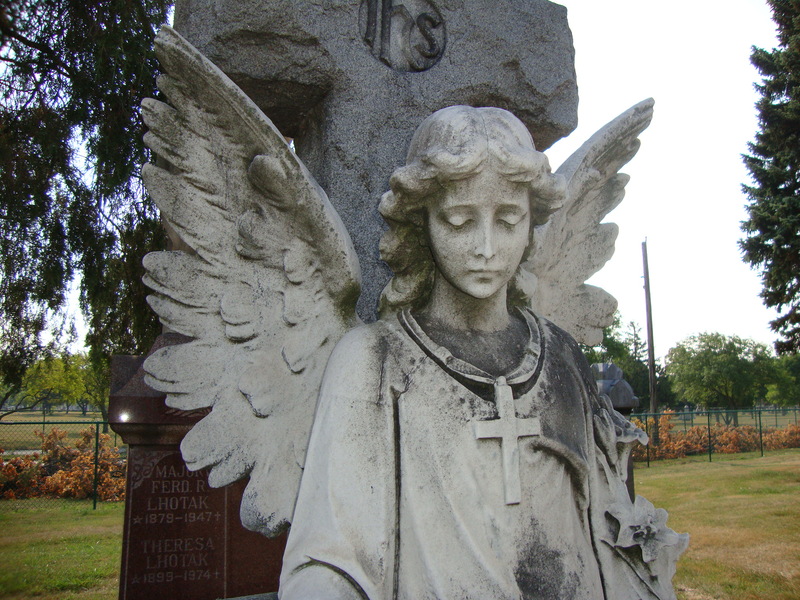 Have you ever driven past, or walked past, a cemetery and seen an unusual statue or stone? Or just wondered about all those stones in there? As a child, I found old cemeteries interesting, although I certainly didn’t visit many at that time. It wasn’t that I had fascination with death. Rather, I had a curiosity about who the people had been. As I grew older, I still had that interest, although it wasn’t until a few years ago, on a trip to Maine, that I actively started taking photographs and doing bits of research. Learning about the history held in a cemetery can really be fascinating, and I also see my photographs as a way of honoring the dead, and those who may have been forgotten over the years. I don’t take photos of every single stone or marker or monument, and admit that angels and figures do catch my eye more often than anything else. However, I like to find unusual names, as well. Over the years, I’ve learned more about symbolism used on markers, as well as the different types of materials used for markers. My photographs are meant to document, to give respect, and to inspire others (whether it’s in the history of a place of a person, or in cemeteries, in general). This is my first post in a new blog, where I’m trying out a new adventure: sharing my cemetery photographs (along with cemetery information, history of cemeteries, and more). This photo was taken in St. Adalbert Cemetery in Chicago, Illinois and was with the Lhotak family’s stones.